The number of companies with presence on the Internet is growing exponentially. All those companies are battling each other to be listed at the top on the main search engines such as Google, Yahoo or Bing. The higher the position of the website in a search engine, the higher number of clicks it will get. Search Engine Optimization (SEO) refers to the collection of techniques and practices that allow a website to get listed in the first positions of search engines. Organic SEO does not include purchasing paid placements on search engines such as Google AdWords. That type of Advertising is called Search Engine Marketing (SEM) and I will not cover it in this article. On-page SEO: Changes you have to make in the website in order to to rank higher. Off-page SEO: Activities you have to make outside the website. 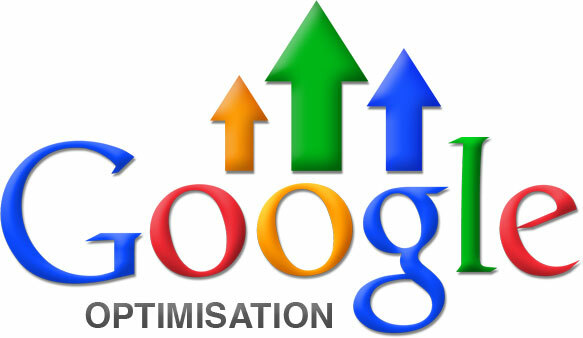 In this article I will focus in on-page SEO mainly for the Google algorithm. Before anything, you must know which terms you want to target. You can think on the keywords that people would type on search engines to find your site. A good recommendation is to have 2 or 3 keywords by page. 1) Page Title: This is the most important modification you have to do to optimize your site. This title is the text of the link that a user clicks on a search engine result list. When a user search for a keyword containing in your title, it will be showed highlighted, making your website more attractive for the user. To change it, just place the phrase or keyword between the <title> tag. It has to be not longer than 70 characters including spaces. 2) Content: Google wants to show to the users the most relevant sites; so content it’s crucial. It has to be high quality, which means it has to be original and unique. It is recommended to update your site content at least once a week, for example adding blog articles talking about your products or services. The content has to be natural-sounding written for the users, not for the search engines. Length is also important, you must have at least 250 words in each page to be good ranked. 3) Keywords on the pages: There are ways you can highlight your keywords for a search engine. For example, placing your keyword on header one tag <H1> will notify Google that it’s an important word in your content. Do not include more than four <H1> by page, otherwise it will look spammy for Google. If you want to highlight keywords or phrases more than four times, you can use other HTML tags like bold <b>, italic<i> and emphasis <em>. This will let Google know that these words are also important. Do not use the same keyword more than 8 to 10 times by page. It will also look spammy. What you can do is to use synonyms. It will also let your site be ranked on those variations. 4) Keywords in the URL: It is a good practice to have the main keyword in the URL. It’s better to use a slash (-) between words instead of an underscore (_) and the words must be in the correct order. Every time you place an image in your website, make sure its name targets your keywords. For example, If you have a shoes website, use names for images like “woman-black-shoes.jpg” instead of “image1.jpg”. Also, use alt text for them, simply place “alt=’your image alt text’” in the <IMG> tag. * The Google logo is a registered trademark of Google Inc. If you want to know more about this topic or need professional help to rank your website, leave me a comment nd I will be happy to help you.